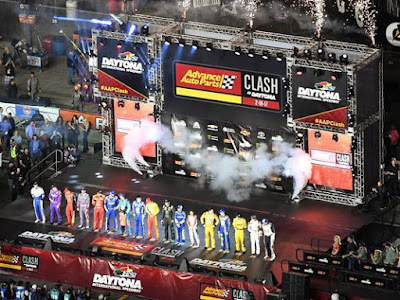 The starting lineup for the February 11th Advance Auto Parts Clash, the first exhibition race of the 2018 Monster Energy NASCAR Cup Series season, will be set by a blind draw on Saturday (Feb. 10) in the UNOH Fanzone at Daytona International Speedway. Featuring an elite field of drivers, ‘The Clash’ will be broken up into two stages with a competition caution at lap 25 separating the segments. The exclusive lineup is limited to drivers who were 2017 Coors Light Pole Award winners, former Clash race winners, former Daytona 500 pole winners who competed full-time in 2017 and drivers who qualified for the 2017 Monster Energy NASCAR Cup Series Playoffs. Like last season, the starting field for the 2018 Advanced Auto Parts Clash at Daytona will not be a predetermined number of cars; rather, the field is limited to drivers who meet more exclusive criteria. *Note: Dale Earnhardt Jr., Matt Kenseth, Danica Patrick are eligible for the event but will not participate. Danica finished fourth in 2017. The field will be set by crew chiefs, assisted by young fans, taking part in the blind draw. The draw is part of the “Speedweeks Premiere at Daytona” fan event that will include autograph sessions with Cup drivers and drivers competing against fans in the NASCAR Heat 2 game, among other activities. The event will be held after that day’s ARCA race. 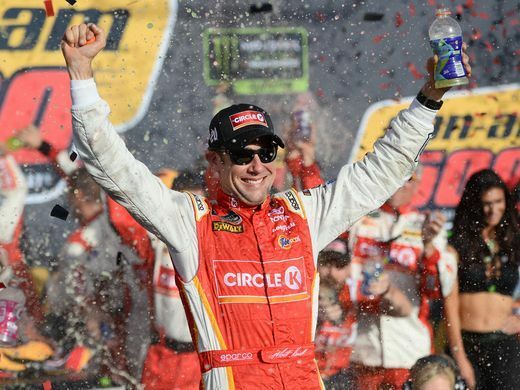 Joey Logano won last year’s Clash. Logano passed for the lead and win after Denny Hamlin and Brad Keselowski make contact on the final lap.